It’s not the space. It’s not the pace. Nor is it the looks. 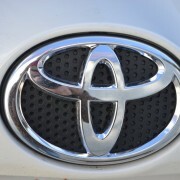 So what is it about the RAV4 that makes this little SUV the best selling Toyota of them all? 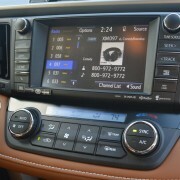 The RAV4 proves that if you do well overall you don’t necessarily have to excel in any particular aspect. 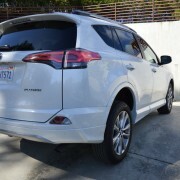 Indeed, the RAV4 Platinum is not the fastest nor the best handling SUV you can buy in this price range. And its vanilla appearance won’t win it any design awards. 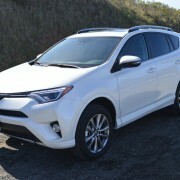 But the RAV4 is fast enough, sprightly enough and handsome enough to pass muster with more small SUV buyers than any of the competition. As an endorsement, just look at Consumer Reports’ “Reliability History” for this vehicle: a solid sea of green arrows leading to a “Much Better Than Average” New Car Prediction. 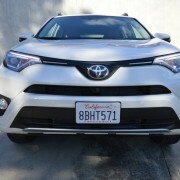 With that kind of evaluation, the RAV4 easily wins CR’s “Recommended” check mark. So what’s this little all-purpose gem like to drive? Not particularly involving. 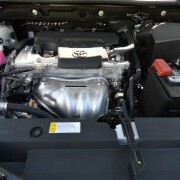 Thankfully, all RAV4s (save the Hybrid) offer a real gearbox for you to massage, with 6 speeds on tap to optimize performance of the 176hp normally aspirated, 4 cylinder, 2.5 liter motor. The Platinum edition we tested is well equipped with lots of luxury touches, like faux-leather seats and contrasting stitching across the width of the dash panel. 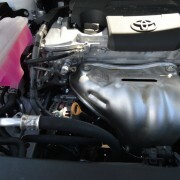 But it unfortunately it lacks shift paddles at the steering wheel, so you’ll have to resort to using the manual gate Toyota provides on the console to change gears at your own discretion. 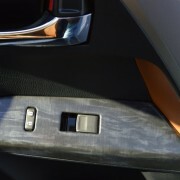 Also, a “Sport” setting is available for quicker throttle and shift response, but the button for activation is inconveniently located low on the dash face, far from the shift lever. 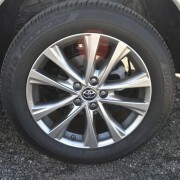 Not that the “Sport” setting makes all that much difference, anyway, since the RAV4, with its high center of gravity and rock hard tires, will not be setting any lap records on back roads. 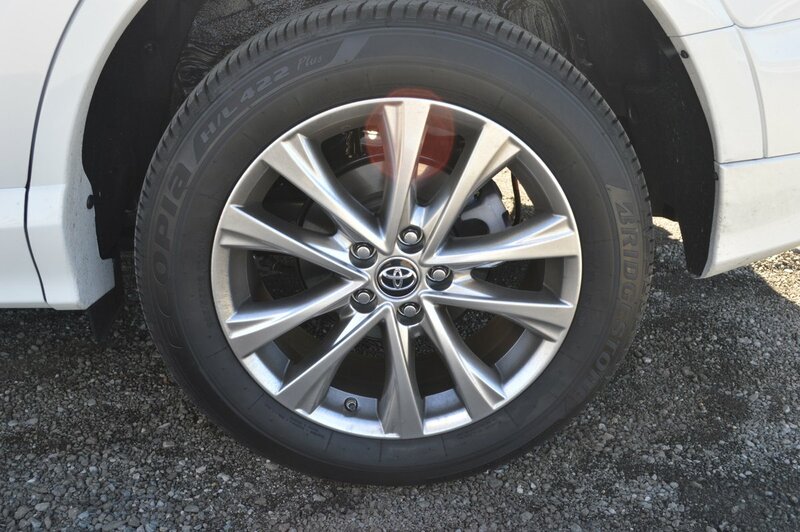 The size of the tires (235/55R18) is certainly adequate for good cornering potential, but the choice of Bridgestone Ecopias, which carry a treadwear rating of 600, indicates they were selected for long life rather than corner carving. 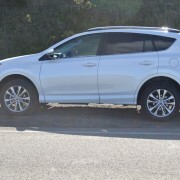 Still, the RAV4 manages to post impressive back road performance – so long as you don’t overtax the Bridgestones, while micro- managing engine output by using the 6-speed’s manual gear selection feature. 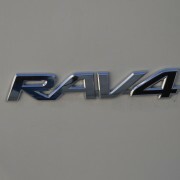 The real story of the RAV4 centers on its utilitarian nature. 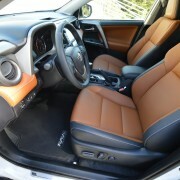 Both front and rear seats offer surprising room and comfort for such a small SUV. 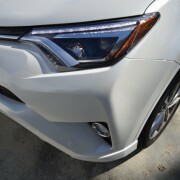 The Platinum edition offers such cosseting extras as a power actuated tailgate which responds to foot gesture, a large moonroof, privacy glass, and a pair of roof rails to accommodate a cargo box. 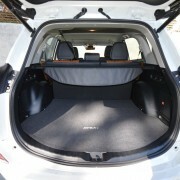 The likelihood is you won’t need the roof storage option because you’ll have 20 cubic feet of cargo space inside with the second row seats folded flat. 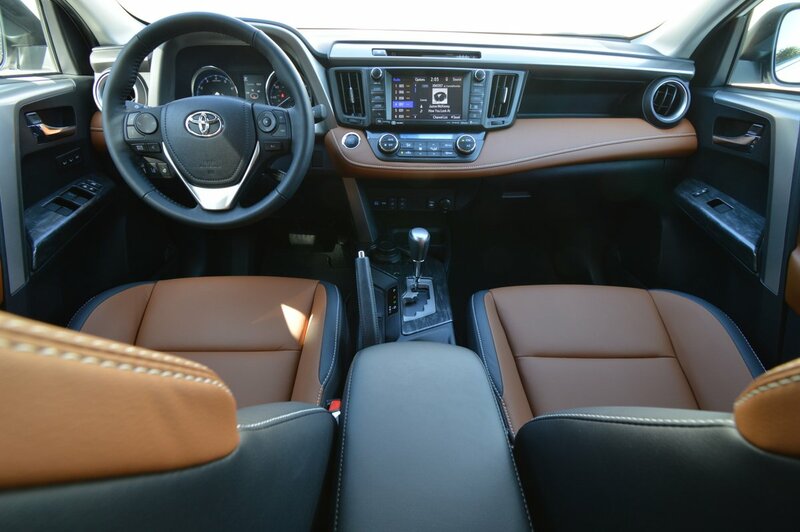 The cockpit of the RAV4 is airy and offers unimpeded sight lines in all directions. 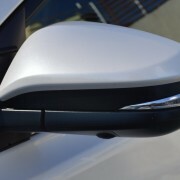 A rear wiper is standard, as is a rear window defroster. 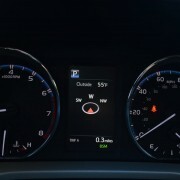 Heated front seats are also standard, along with a steering wheel heater. 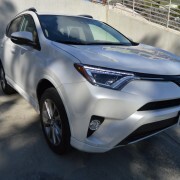 In view of the fact that we just tested a $90,000 sedan without a steering wheel heater, the RAV4′s inclusion of this welcome feature comes as something of a surprise for a vehicle in this modest price range. During a recent cold snap, we left all heaters on for most of the week, and were delighted to find it unnecessary to relight these switches after each restart of the engine. 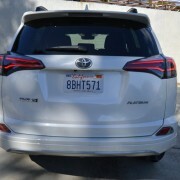 The restarts are easily accomplished with a fat button on the dash, which allows you to leave the RAV4′s keys in your pocket the whole time you operate this Toyota. 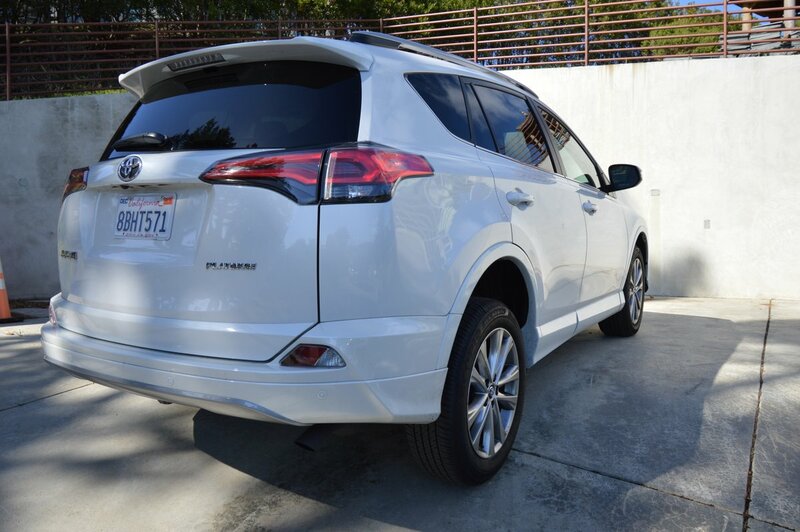 As long as you are carrying the Smart Key, the doors unlock themselves automatically as you approach the RAV4. A push of the remote fob locks it up as you depart. 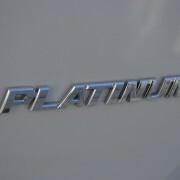 At a base price of $34,750, the Platinum RAV4 defines the high end of the price range ($25,500-$35,500) for this vehicle. 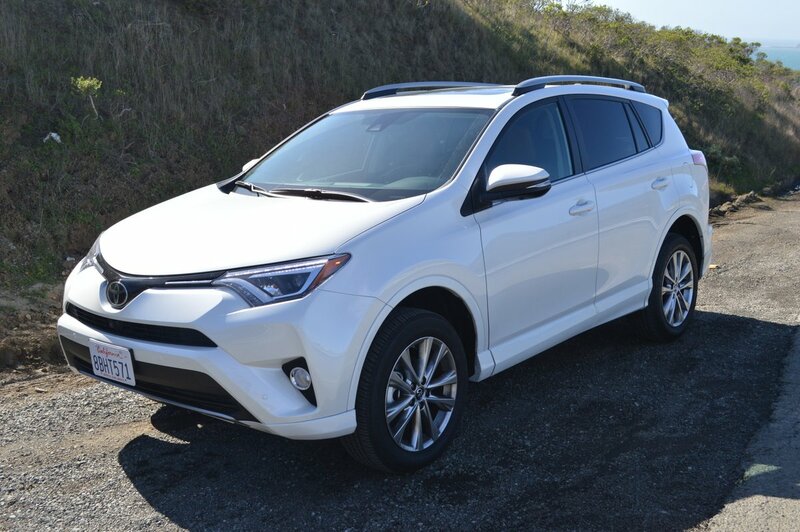 If you plan on towing a trailer, you might want to consider the RAV4 Adventure model, which is new for 2018. 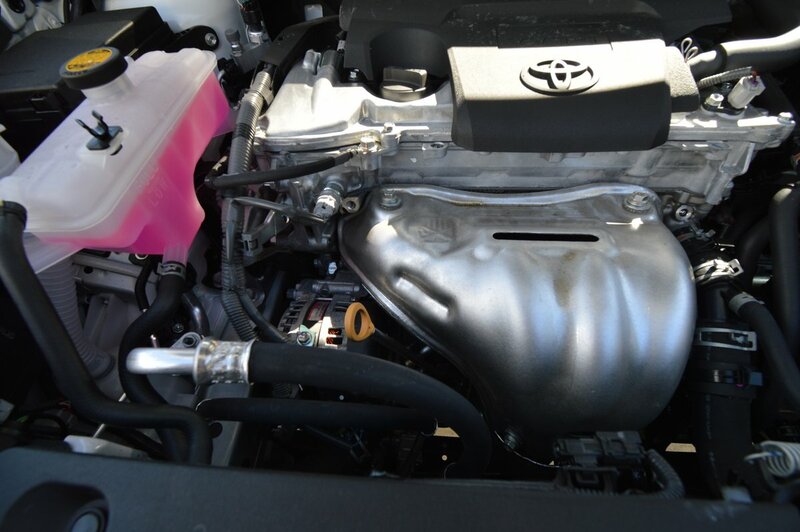 This visually engaging revamp of the basic RAV4 includes an upgraded radiator, plus coolers for transmission fluid and differential oil. The AWD Adventure will pull a 3500lb. trailer. With its blacked out 18 inch alloys, exaggerated plastic wheel lips and matte black roof rails and trim bits, the Adventure does a pretty fair imitation of an Indiana Jones ride buggy. 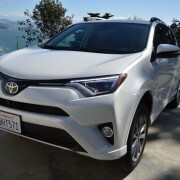 But if you’re more attracted to the buttoned-down appearance of the RAV4 Platinum we drove, you’ll find that even without the available towing package, it is rated to pull a 1500lb. trailer. 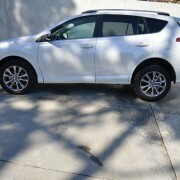 The towing package ups the limit for the FWD RAV4 to 2900lbs.